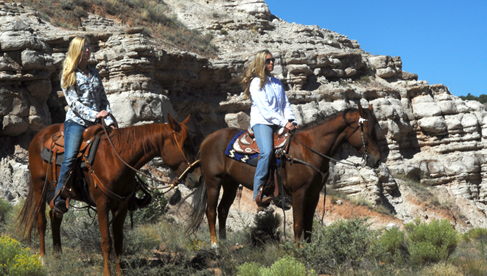 New Mexico Horse Adventures offers year-round horseback riding throughout the state of New Mexico. These riding adventures can include one day trips, multiple one day trips or overnight adventures and more. 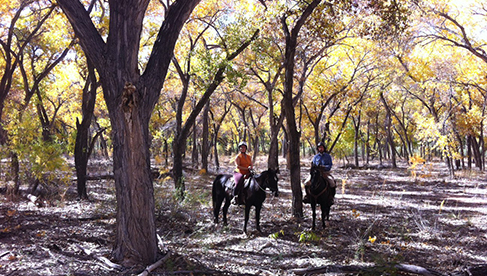 New Mexico Horse Adventures has ridden all over New Mexico, and knows the best places to go anytime of the year for trail riding vacations. 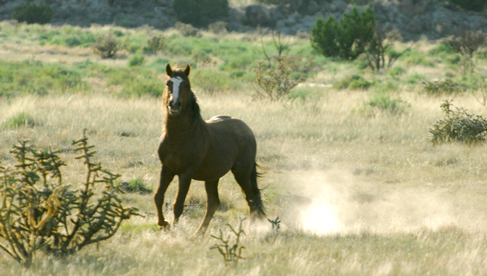 New Mexico is home to several herds of wild horses. Some of these herds are on public and private sanctuaries, while others roam on large private ranches hidden away from public view. 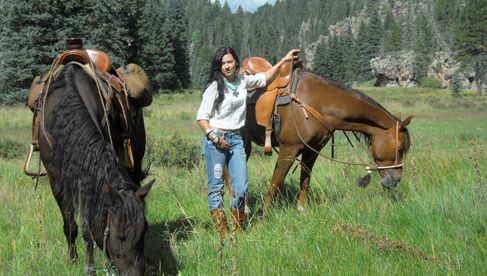 New Mexico Horse Adventures can arrange private viewings of these horses. 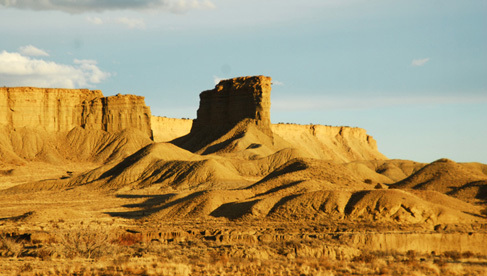 Some of the trips will be in an automobile, others may be on horseback. We can also arrange for a speaker to address the wild horse situation here in New Mexico and throughout the United States as well. 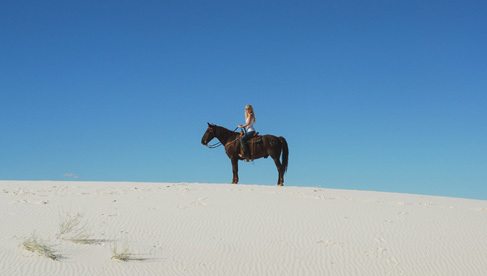 Photographic instruction will be included in all wild horse viewing trips. If it is necessary to find these horses on horseback, tracking etiquette will be discussed beforehand as many of these horses are quite wary of people on horseback. These trips can be single-day trips, or part of a larger multi-day adventure. For more info call 505-301-0917 or go to New Mexico Horse Adventures or e-mail Steve. 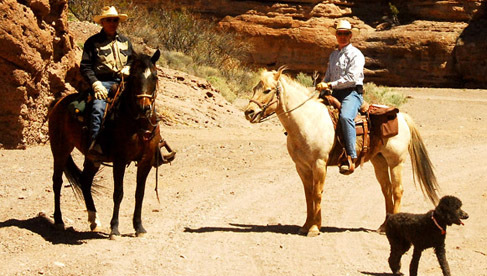 Trail Dressage founder Steve Simmons has been trail riding for years and has covered thousands of miles of trails in New Mexico, Colorado, Utah, Arizona, California and Idaho. He has also participated in numerous cattle roundups, cattle drives, horse drives, search and rescue, parades, an endurance race, tracking wild and free roaming horses. and more. Trail Dressage is about helping the horse and rider apply basic dressage techniques to their trail riding adventures. We will focus on basic posture in the saddle, balancing the horse, simple body cues to help your horse understand what is being asked with minimal use of the reins, crossing obstacles encountered on the trail simply and easily for the horse, and making the fun of trail riding even more enjoyable. 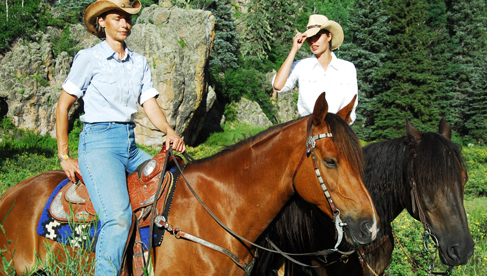 You are welcome to bring along your own horse, but for those who are just looking for a relaxing vacation, a good horse can be provided for your ride. If you do bring your own horse, it should have trail experience, be able to cross water, load and trailer, and be comfortable moving through brush, and on rocky surfaces. If your horse has problems being around other horses please let New Mexico Horse Adventures know ahead of time. 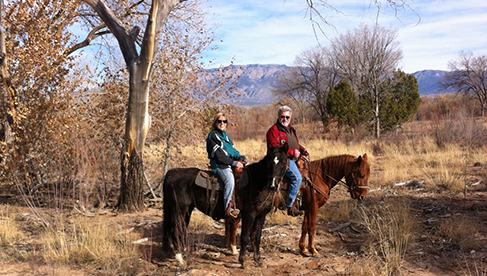 The horses that New Mexico Horse Adventures provides are trail savvy Morgans who love the outdoors. Either way, don’t expect to ride the slow, dull, nose-to-tail rides. You are given you an opportunity to spread out and enjoy riding at your own pace. 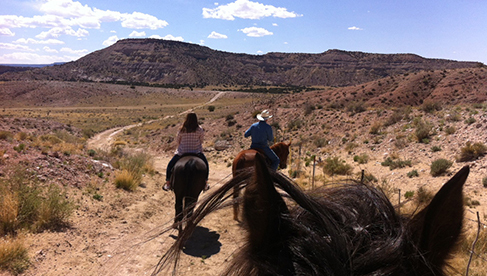 New Mexico Horse Adventures can help with one or all of these experiences and customize your experience. For the trail rides you should be able to ride out at a trot, cross water, get on and off your horse without assistance, pack a lunch and water, and be comfortable for a 3-5 hour ride. You will need saddle bags for lunches and cameras. If you ride one of the horses on site, they will have a western saddle. Children over 10 can be accommodated with advance notice. For the trail rides, children should be at least an intermediate rider. 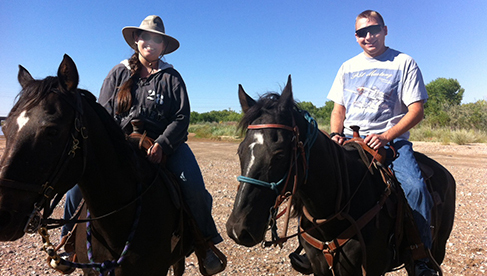 In New Mexico, riders 18 and under are required to wear a helmet. Riding Adventure Bonus! You will also be photographed as your ride and be presented with a CD of images at the end of your trip. Select the scenery you would like to see and have your memories last a lifetime. Steve Simmons is a lifelong photographer. He has photographed and written articles for New Mexico magazine, The Trail Rider, The Morgan Horse, Horseman's Voice, and many others. He began raising, training and enjoying Morgan horses in 2001 and has competed in carriage driving and western events since 2004. He is the publisher of View Camera Magazine. In a previous life he was also an architectural photographer and his work was published in many of the leading architectural and building magazines. 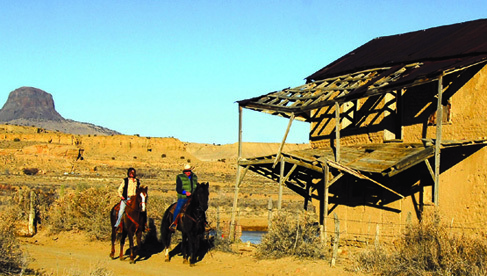 New Mexico Horse Adventures is working on special horse and spa retreat trips and special opportunities to ride in period costume at several historic settings in New Mexico. 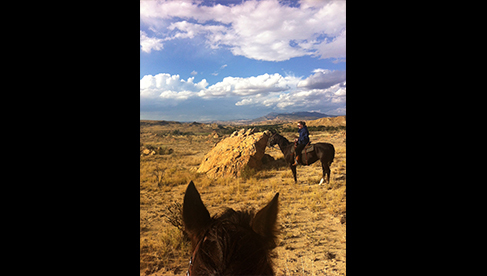 Let New Mexico Horse Adventures know your budget and they will recommend several accomodation options for you, from low budget hotels to B&Bs in Corrales. Please inquire for more details. 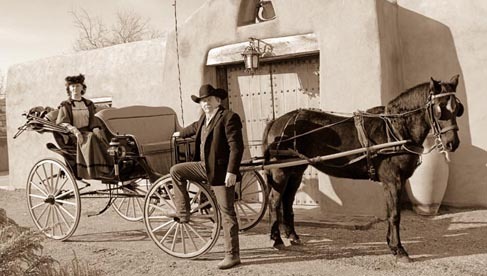 Carriages for your special event from Rio Sandia Carriage Service offers elegant carriage services for all of your special events including weddings, anniversaries, birthdays, Quinceanera, business marketing/ad campaigns, photo props, movies, television and more! 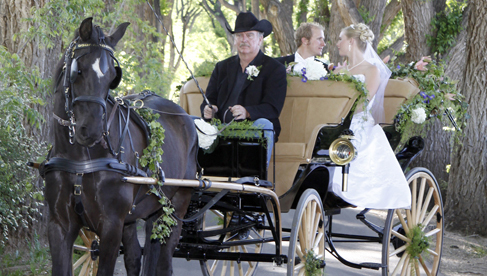 Star, a Morgan horse, is the perfect horse for carriage service. Morgans naturally take to the task, with elegance. With their natural conformation, calm and collected disposition, the Morgan is world renown as a driving horse. 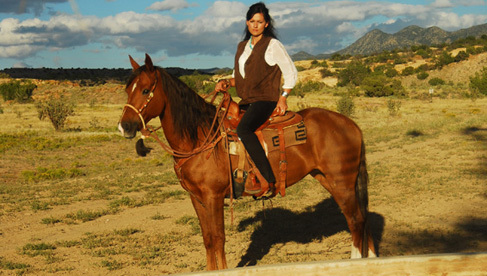 Star has driven in parades, along the roads and ditch banks in Corrales, and shown successfully at the State Fair. She has also worked in special events all over the Albuquerque and Santa Fe area. She is the perfect Morgan for this job. Star, with her elegant and intimate black carriage will add a very special touch to your very special event and help create memories that will last a lifetime. Please contact New Mexico Horse Adventures for rates and information about how they can make your event dreams come true! 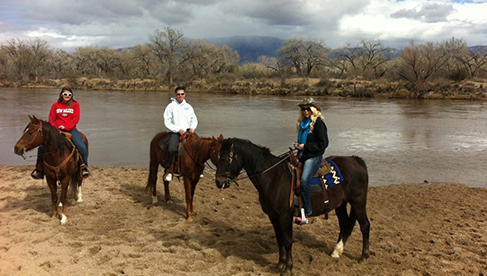 Horseback riding in New Mexico. 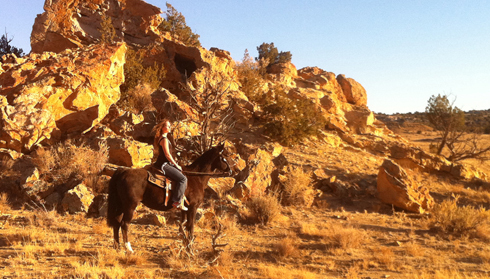 Bring your own horse or get matched with a mount to explore the Land of Enchantment. Intermediate to Advanced, Beginners please inquire. 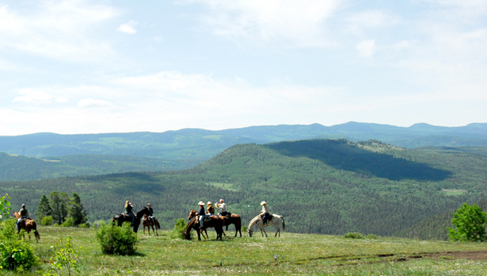 Now offering a special ranch vacation package the months of July, August and September. 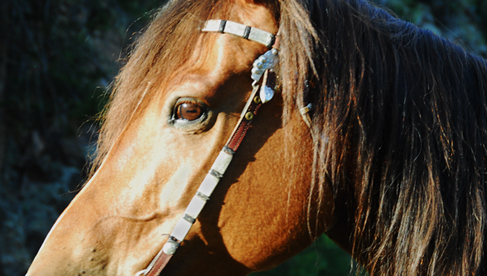 Varies by trip and length, please contact New Mexico Horse Adventures for more information.